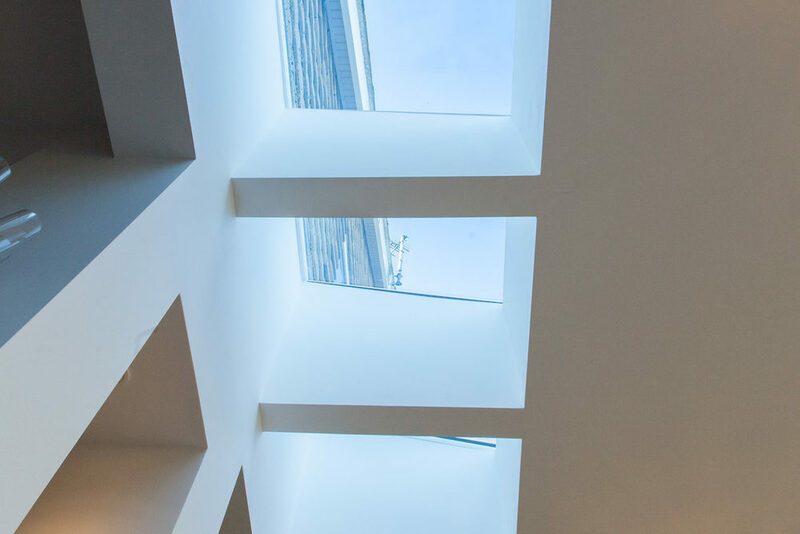 A compact but utterly wonderful extension. We took the small kitchen and separate dining room and gave it the WOW factor! This cost effective extension has become the hub of the house. A perfect space for eating, drinking, relaxing and enjoying life. It's beautifully cosy for the winter months and is easily turned into a fun, al fresco area for the summer months. Whatever suits you, this space has got it covered! 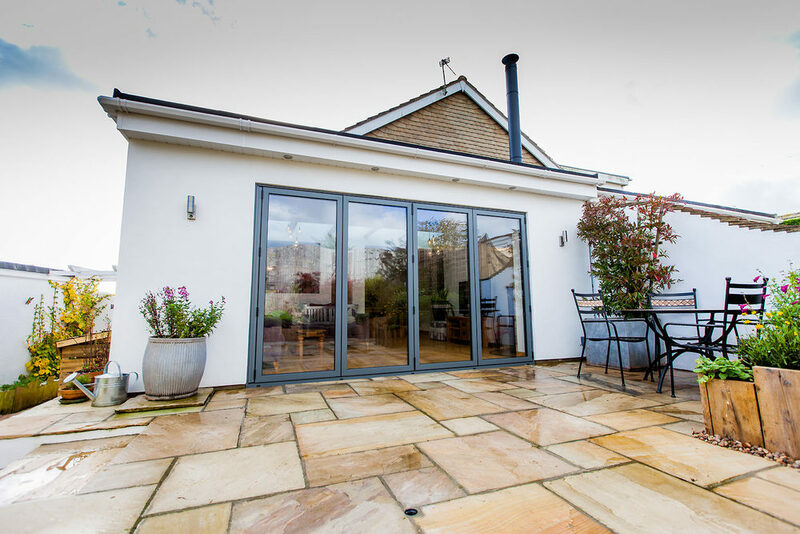 The aluminium bi-fold doors help bring the outside in and serve to connect the spaces. 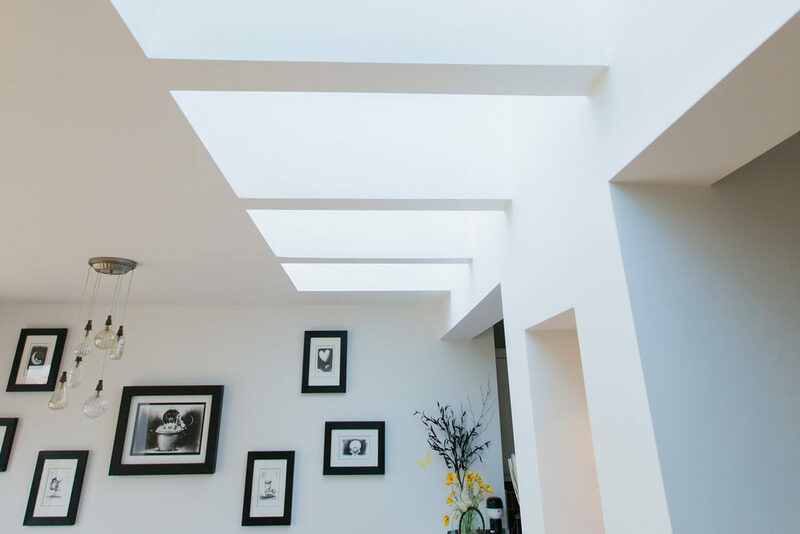 The stunning rooflights bring an abundance of natural light, whilst creating drama and interest. The modern wood burner is a wonderful focal point and adds a beating heart to the design. Coupled with rich interior design touches and landscaping details, the end result proves that gorgeous and functional living can be created on a budget to suit everyone. We took the small kitchen and separate dining room and gave it the WOW factor!